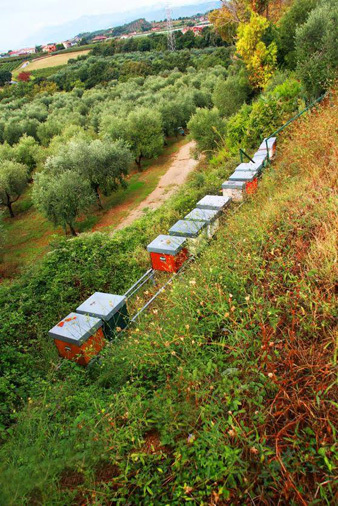 Olive oil producers by trade, the Salerno family located in the Salernitano foothills is a part of the youth movement of Italian wine you find particularly in regions like Campania. Annibale Salerno deserves all the credit, producing olive oil since the 70s and raising 5 wonderful children. His kids are taking things one step further with the production of wine. The Salerno’s produce predominately Aglianico and Fiano, with smaller plantings of Barbera, Malvasia and Moscato. Plantings of these last varietals have existed on the family property for decades, and the Salerno’s produce wines with them as an homage to their past. When Annibale and his wife Anna Maria started making olive oil, they produced wine that would be sold in bulk as a way to supplement their business. Fifty years ago, big wineries would come around with a truck, buying up grapes from local farmers. They paid by the pound, so Annibale and Anna Maria produced vigorous grapes like Barbera and Malvasia that led to a nice pay day! As for their current wines I was really impressed across the board, but the power and complexity of the Fiano grape intrigued me most. In Italy you hear so much about particular production regions sometimes being more important than the varietals that come from them. This is no different with Fiano from Avellino. Mimicking the power, complexity and smoky element outside of this region seemed to be nearly impossible, until you taste Fiano from Casa di Baal. These Fianos really spoke to me. I felt the influence from the Mediterranean and began to understand that the foothills of Salerno presented a terroir worth of our attention. I discovered Casa di Baal while actually visiting another winery, Le Vigne di Raito, about 20 minutes to the northwest. Enologist, Gennaro Reale of Vignaviva, which specializes in organic viticulture, happens to be the consulting enologist of both wineries. Gennaro, a friend of mine, and his partner Fortunato are superstars in my opinion, with a strict set of ethos followed by each winery they work with and a strong belief that organic viticulture holds the key to true expressions of wine. 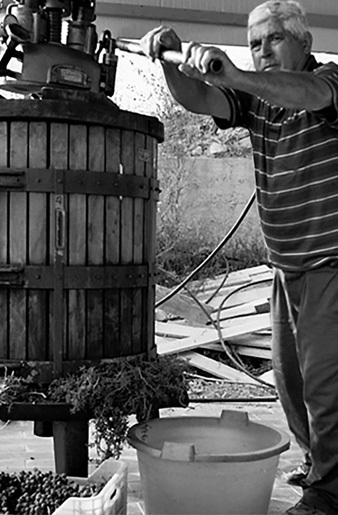 Gennaro and Fortunato manage to create an independent ecosystem at each winery, each so unique and different from the other, allowing the wines to truly excel. Assuming Mucci Imports continues to grow you will see a few more wineries from the Vignaviva portfolio down the line! My classmate Antonia and I had had a few glasses of wine at Raito, and we decided to take a ride with Gennaro to Casa di Baal. This visit was a soaking wet one as it was raining cats and dogs, but Francesca Salerno and her father (the famous Annibale) were still hard at work transferring their wines from vasque to vasque. Like any good visit to a winery we tasted straight from the vasque and were given a preview of the 2012 whites. The wines were accompanied but some local Pecorino, which I still dream about to this day. The question of what you eat while you taste is a very important one to me and tells me a lot about the winemakers. Conversing with Francesca and Gennaro about their philosophy, it was hard not to get excited about these wines. The Mucci Imports portfolio truly focuses on indigenous varietals from specific terroirs, and there is no better way to enhance this notion than by organic viticulture. In each terroir, there is a unique ecosystem that is healthiest when farmers have a respect for the environment and avoid harmful processes like over fertilizing. In the end, this only strengthens the plants and therefore gives vitality to the wine. In the winery, the use of native yeasts and the idea of spontaneous, instead of forced, fermentation is another way to promote the “local flavors” of the wine. As of 2014 the winery is also in its second year of biodynamic winemaking, thus truly continuing to create a terroir driven wine. From the cantina we went and checked out their olive oil production, which seemed equivalent to some olive oil museums I’ve visited in other parts of Italy in terms of the old school machinery and presses they used. The Salerno’s take great pride in this side of the business; after all it’s where Annibale made a name for himself. In fact, in the early 70’s Annibale and his wife purchased about 30 hectares of land which was loaded with olive trees. Today they have over 10,000 trees. In the early 2000s, the family business took a turn as the five children Baal (short for Annibale) and Anna Maria had wanted to start producing wine under their own label. Most of the Barbera and Malvasia was ripped up in favor of Fiano and Aglianico. They also purchased a beautiful adjacent vineyard of Fiano. After bringing the vineyards up to speed and converting to organic viticulture, Casa di Baal began officially producing wines in 2006 on a total of 4.5 hectares of land. As of 2015, they are in their second year of biodynamic conversion. This type of wine production is fitting for Baal’s family, as almost everything you consume when visiting with them comes from the farm. Their hens make the eggs, their pigs make (or made) the sausage. their jam comes from their fig trees, and don’t forget their garden. This is a true working farm that redefines self sufficiency! The vines on most of the property are about 30 years old, whereas an adjacent vineyard was recently planted with more Fiano in 2012. The vines are predominately southwesterly facing and the vineyard lies at about 150 meters above sea level. On a clear day it feels as though you can reach out and touch the ocean. The ocean breezes have a profound affect on these wines and you can certainly taste it in each bottle. The soil composition varies but it can be best described as a calcareous limestone with some pockets of clay. Casa di Baal is in a no mans land in terms of its physical location. They are located in the Parco Regionale dei Piacentini, 30 kilometers from the Amalfi Coast and about the same distance from the Avellino. This is where this unique, constantly ventilated property stands out. There is an influence from both the mountains behind them (Avellino) and the coast in front. Most would be quick to ignore a property outside of the volcanic soils and elevation of the Avellino, that is until you taste the wines from Casa di Baal. Casa di Baal’s newest addition is an adventure in sparkling wine, focusing on the bright and round Fiano along with the floral and aromatic Moscato Giallo. This Pet Nat style of wine is almost more reminiscent of a juicy and hazy IPA with all of its tropical and floral notes and a somewhat plush texture thanks to no disgorgement. The first vintage yielded only 1,000 bottles, an experiment that is sure to grow as results were so well balanced and refreshing. 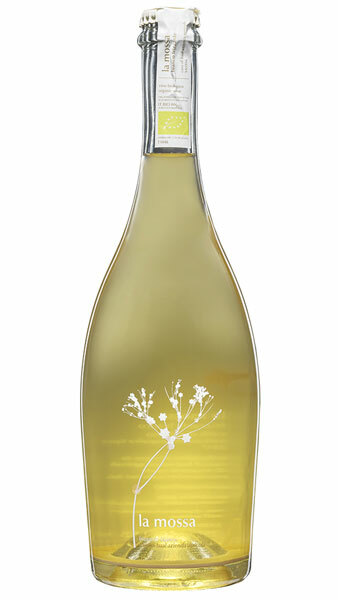 Typical of this Pet Nat style, the blend of Fiano and Moscato is re-fermented in the bottle, with no addition of yeast. The crown cap is added before re-fermentation, and there will be no disgorgement nor added sulfites, resulting in an extremely fresh, albeit cloudy bottle of sparkling wine. 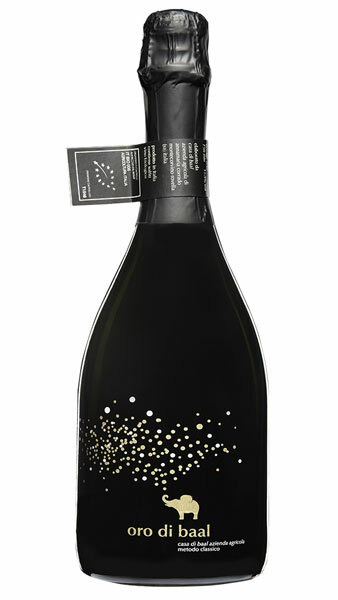 An expirement of sorts for the Salerno family who produce less than 1,000 bottles of this sparkler. The wine is made in the champenoise method and is a great expression of the underappreciated terroir in the Colli di Salerno. Harvest occurs two weeks before that of the harvest for the whites in order to maintain acidity. The most recent disgorgement was after 18 months on the lees. Fine golden color with hints of acacia honey. The nose is quite distinct with notes of peach, citrus, sage, oregano and a little muskiness from Mediterranean spices. Moscato and Falanghina certainly dominate on the nose, immediately transporting us to a beach somewhere! This is a supple and warm wine that is well structured and persistent, with medium acidity. Really fresh and immediately enjoyable due to the lovely aromatics. The wine finishes with a little smokiness from the Fiano and fleshy yellow fruits. The key to this wine is that is still maintains its minerality despite the Moscato. In some blends Moscato can dominate, but here the balance is very evident, a compliment to the hard work both in the vineyard and the cantina. Complimenti Casa di Baal! • Semi-soft cheeses like provolone or fresh pecorino. Grapes are harvested by hand, selecting only the best grapes. The wine is aged on the lees for 6 months in stainless steel. Bottling occurs the following February. 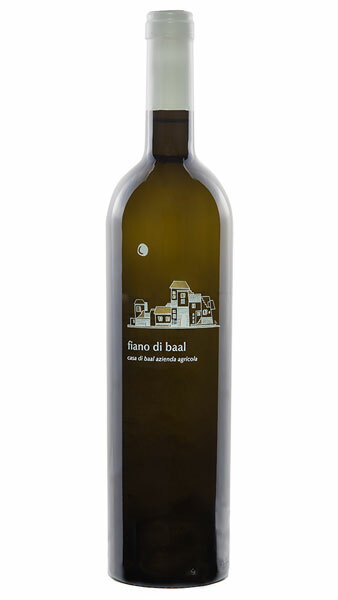 Who says the best Fiano is found in Avellino? This wine is influenced both by the Mediterranean and a little bit of elevation, in the foothills of Salerno that lead one to the famous Avellino region. 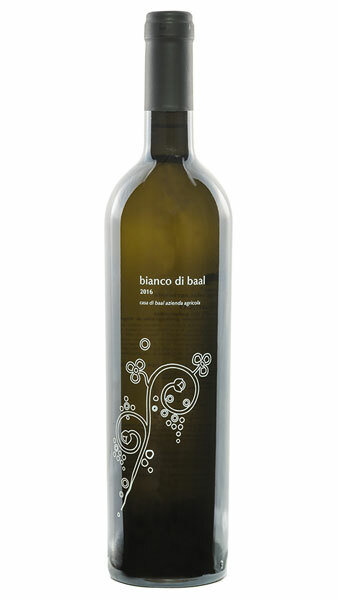 This wine has great structure and depth, proving why the Fiano grape is such a heralded one in Campania. A bit of a step up in structure from the blend for sure. As Francesca Salerno tells me “this Fiano is a red wine dressed as a white.” What she means is it’s so rare to find white wine with the structure and complexities of red wine. If that is what you seek then your search ends now. Great aromas of white peach, apples, honey and chamomile. This wine finishes with that signature smokiness reminding us of some Northern European Rieslings. This smokiness however is not so in your face, instead nicely complimenting the fruit and adding further complexity to the wine. Grapes are harvested by hand, selecting only the best grapes. The wine ages in stainless steel for 9 months. 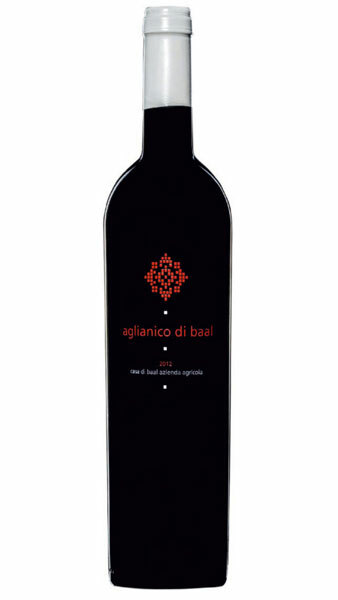 An Aglianico that is ready drink! Amazing right?! The secret to this wine is the mineral driven backbone and the benefit of time. Currently we are drinking the 2011 vintage. Time in the bottle has allowed tannins to soften and this wine to truly come into its own. Classic earthy undertones are present as well as a mix of bright red fruits, darker woodsy berries, and even flowers. Earthy dishes (mushroom ravioli, black truffle), The wine is mid weight with great acid and freshness so it will pair well with a steak but also leaner dishes, preferably with a little earthy funk to them. Manual harvest occurs around the middle of October with very selective picking (60 tons/acre). The wine will then undergo a spontaneous fermentation that will last around 2 weeks. From there the wine is racked off the skins, grapes are pressed, and eventually the wine will spend a month decanting in stainless steel. The next step is 12 months in small French Oak barrels (2nd or 3rd passage). The wine then will go back in stainless steel to settle before bottling. Ever thought, “I should definitely adopt an olive tree?” Well, here’s your chance! Headed to Italy? Take a tour!